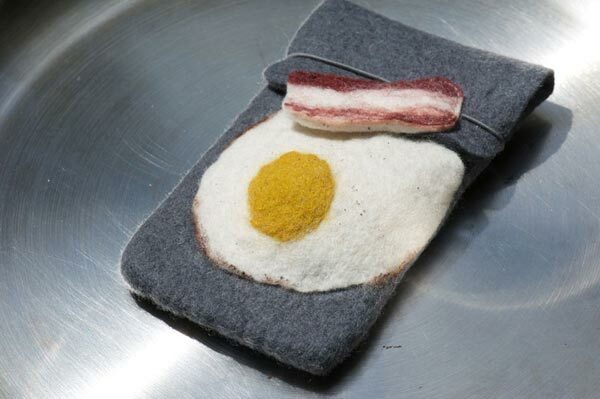 Here we have another fun iPhone case made from felt, but unlike the Game Boy iPhone Case or the PlayStation iPhone Case, this one is inspired by my favourite food, bacon and eggs. 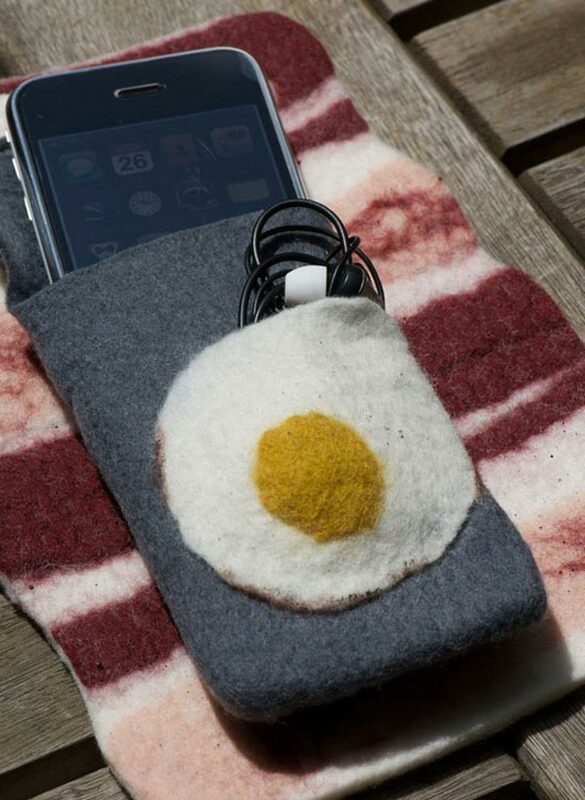 This fun iPhone Case features an egg on the front, which can also be used to store your headphones, and as well as being available for the iPhone, you can order it for any sized cell phone or even an iPod, what about a bacon and egg netbook case? 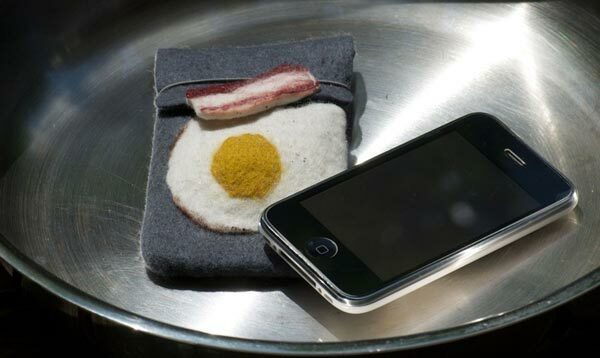 If you want one of these fun iPhone cases they are available to order from Etsy for $35 each.